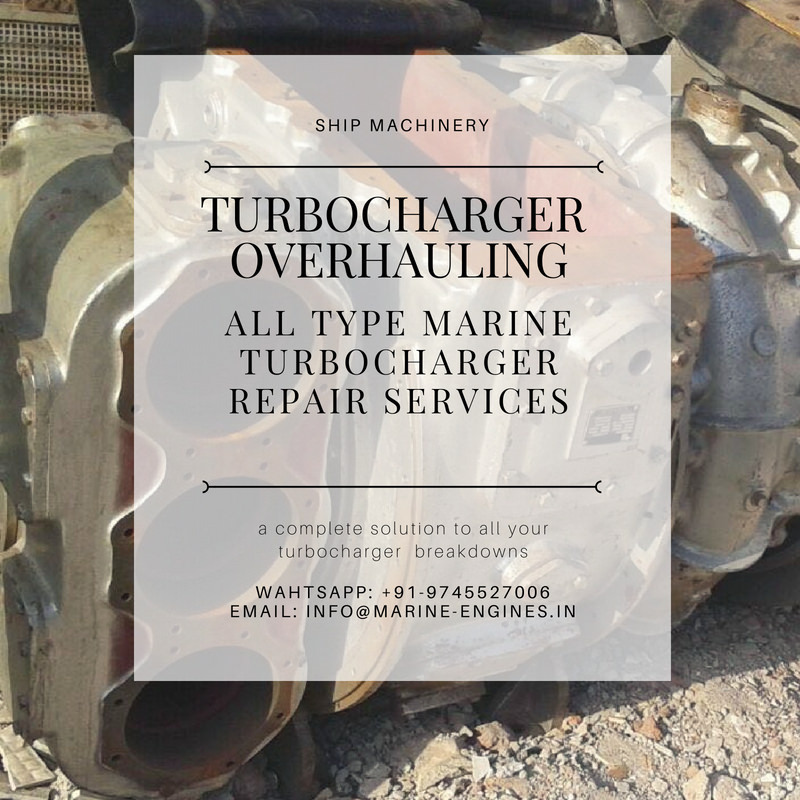 Your worldwide service partner for turbocharger overhaul and repair to the marine industry. Our established dedicated facilities with strategic alliances in India, we deliver on time, within budget, across five continents. If you have a turbocharger breakdown contact us for immediate assistance. We are here to help resolve your turbocharger problem. There is no obligation at any time. If you are experiencing technical problems with your marine turbocharger and need advice please contact us to resolve the problem. All parts used are quality certified. This guarantees they meet the same standards that are used in original equipment marine engines. With the largest marine engine inventory, we can ship most marine engines / marine generators/turbochargers and engine spares the same day you order. These are some of the parts we mention above from our regular maintained inventory. 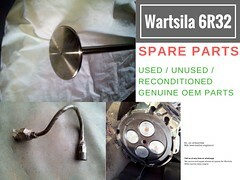 Contact us with the list of your required spare parts list. Available in stock Used Recondition and Brand New Turbocharger. We are regular suppliers of used reconditioned second hand and brand new CAT 3406 diesel engine Spare parts. The spare parts we supply are genuine, original and hundred percent reliable. At present we have in stock used, reconditioned turbocharger. The turbocharger is in working condition and ready for dispatch. The offer is prior to sale. Brand new turbochargers are also supplied by us subjected to availability in stock. Kindly do contact us for stock availability. We also supply a complete range of CAT 3406 Diesel engine spare parts. Mostly we deal in used reconditioned complete CAT 3406 marine diesel engines and spare parts. 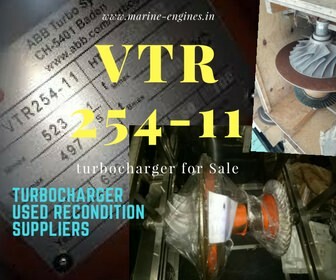 For more details and price, do write to us with your requirements of Turbo Chargers. 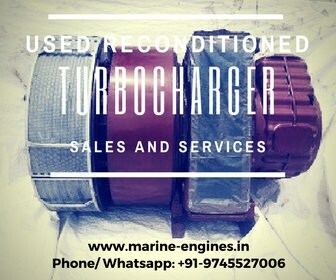 We are regular suppliers of used reconditioned turbochargers and spare parts sourced from ship recycling yards. 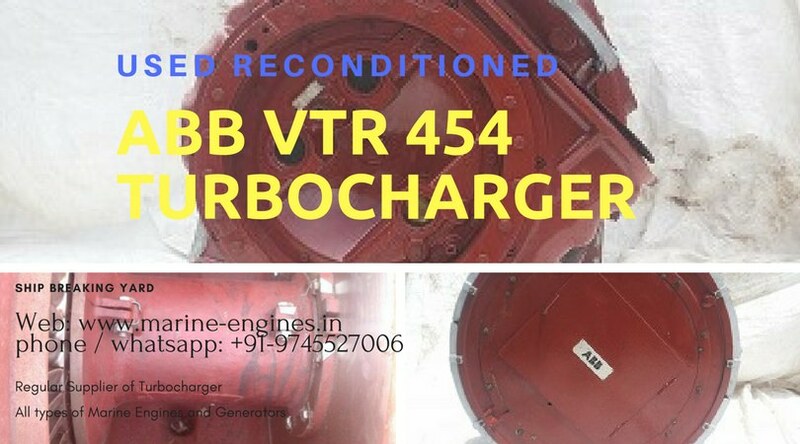 These ABB VTR turbochargers are removed from marine auxiliary engines or main engines, which are in running in workable condition. 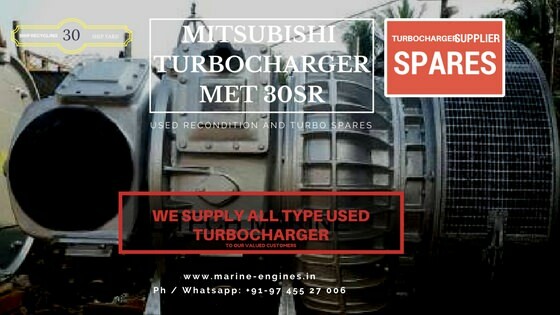 For any requirement of above mention turbocharger, do contact us. 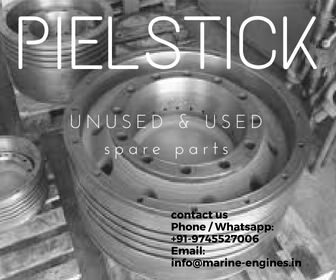 Our yards are located in west coast India and we are regular traders of used and reconditioned marine diesel engine and spare parts. The turbocharger of all makes/types available with us for sale. We also supply unused turbochargers on demand and subject to availability. The turbocharger is in excellent working condition. For all your requirements used reconditioned turbochargers kindly get in touch with us. IHI BBC turbochargers available in stock. 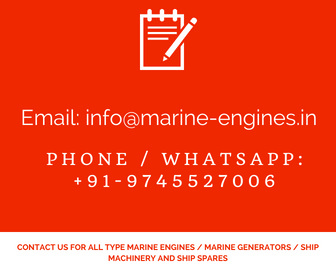 We are regular suppliers and supply marine diesel engine spare parts and complete used marine diesel engines and generators. 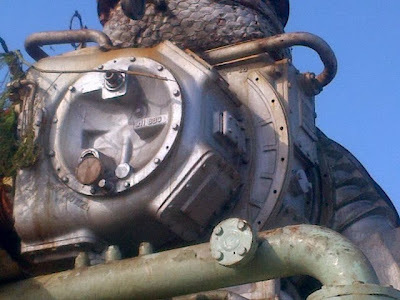 These engine and spare parts are removed from ship recycling yards in India and are fully reconditioned before offering to our clients. IHI BBC Turbochargers used, reconditioned and spare parts for turbochargers are also available for sale. For details of price and availability, kindly contact us. We also supply spare parts and provide repair services along with third party inspection and certification services. Contact us with details of your requirement. Condition: in reusable working condition, removed in running condition. Required servicing and cleaning did in our yard. We also supply another type for Mitsubishi make Turbocharger sourced from ship recycling yards. All turbochargers supplied by us are original used condition and are tested by professional marine engineers. 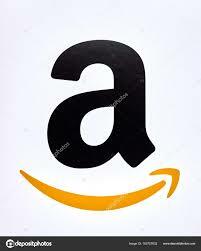 For the requirement of information, do contact us.